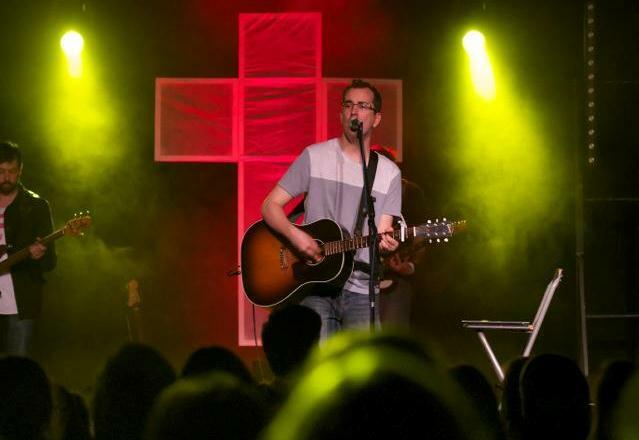 Jimmy Orr is a Worship Leader, Husband, Student, Singer/Songwriter, Speaker, Son, Brother, Pastor and Dad… though not necessarily in that order. Jimmy has a passion for the Church and nurturing a creatively indigenous expression of worship reflecting the nuances and character of life within the local community. His experience has seen him part of several worship bands playing various roles, facilitating and curating worship from small lofts to big marquees, middle-sized churches to the Houses of Parliament. He has also been known to lead hymns with nothing but a megaphone(!) He’s journeyed with young people and old, learnt a lot, taught a bit, mourned with those who mourn and rejoiced with those who rejoice. Since 2014, Jimmy and his wife Kathryn have been the Pastors of Leigh Park Baptist Church, Havant, UK.